Neighbors, The Upper Harbor Terminal (UHT) site is a barge that closed operations in 2015. It is 48 acres of industrial land currently owned by the City of Minneapolis, which is close to one mile of riverfront access. The area in its current condition disconnects our community from the river and does not serve our community’s unique wants or needs. The City of Minneapolis, Minneapolis Park and Recreation Board, and United Properties entered into an “exclusive rights agreement,” which gave the MPRB and United Properties rights to the land. United Properties then brought on First Ave Productions, Thor, Juxtaposition Arts, and Coen & Partners for a collaboration. Largely led by Juxta youth, the development team worked together to do 18 months of community engagement. A Concept Plan is an unusual step in the traditional redevelopment process; most go directly from signing the contract to presenting the finalized plan. This is meant to the check-in for an update, provide feedback on the direction, and give the developers enough of a framework to begin securing financing and funding. Once we have clarity around the development team structure, I support the Phase 1 Concept Plan moving forward because the benefits that are already on the table far outweigh the cost of delaying or starting over. •	The Community Performing Arts Center will offer space to Northside and Minneapolis arts nonprofits. •	There will be a ticket surcharge that will go towards a community-led Northside arts fund to be invested into arts in our community. •	Potentially capturing entertainment tax for a Northside development fund or for strategies to lower the impact the redevelopment project will have on neighborhoods in immediate proximity. •	The first floor of every building will be owned by the community through a trust, nonprofit, or another mechanism to leverage the space for Northside entrepreneurs to open businesses. •	The lawn of the CPAC will remain in public ownership leased to First Ave Productions and will be open to the public around 300 days a year. •	A 100,000 square feet community hub that will have a focus on urban agriculture and possibly an integrated utility hub that produces low-cost renewable energy to the nearby community. •	Almost 20 acres of new riverfront park and parkway with land the City gave to the Parks for free. Whereas, denying, delaying, or stopping the process could cost us $15M in state bonding dollars for the public infrastructure and the potential for future redevelop this industrial barrier to our riverfront. There is also now a UHT Community Advisory Committee to address the lack of systemic infrastructure for impacted community members to have the power to make choices in such a large development that will impact our community. This committee will be tasked with delving into the project details and making informed choices based on trade-offs and community preferences. They will also lead strategies for deeper community participation and agency that is reflected in the project development process. This committee is to ensure directly impacted community members have a seat and direct voice in the process beyond just me. 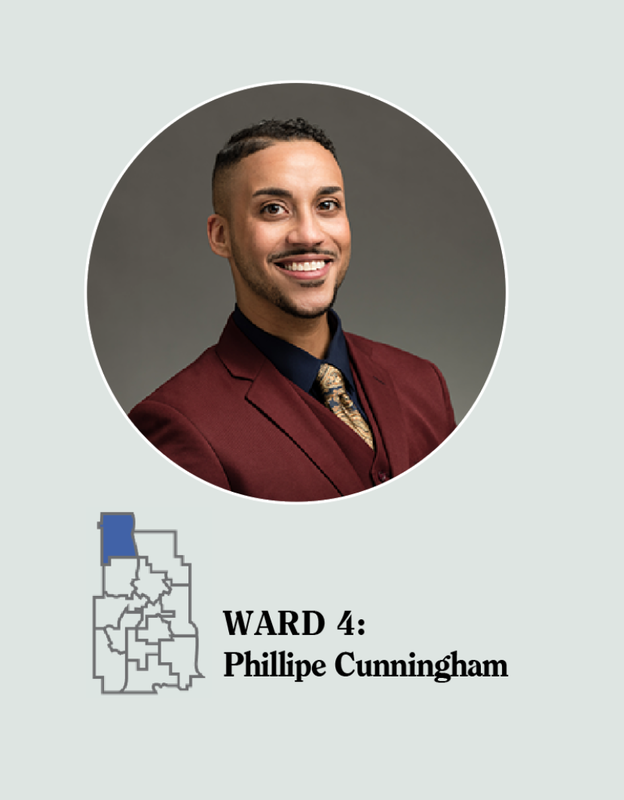 I will share more information about how to apply for this committee on our Ward 4 Facebook page: www.facebook.com/CMCunninghamWard4. Fannie Lou Hamer—an indomitable force in the civil rights movement—once said, “You can pray until you faint, but unless you get up and try to do something, God is not going to put it in your lap.” Those words weigh heavy on my mind lately, as I consider the Northside, our history, and the challenges we face moving forward. In this past year, I’ve been asked to address the problems of the neighborhood in ways that betray core beliefs of mine. And I refuse to believe that the solutions on the table are the only solutions available. I will not address violence by criminalizing our youth, I will not spur development by selling the Northside for cheap. I will not displace vulnerable tenants just to stick it to an irresponsible landlord. But I’m also not content letting those injustices just be either. So, what are the remedies? Entering Black History Month—a month typically reserved for celebrating the past—I’m reflecting on the future. 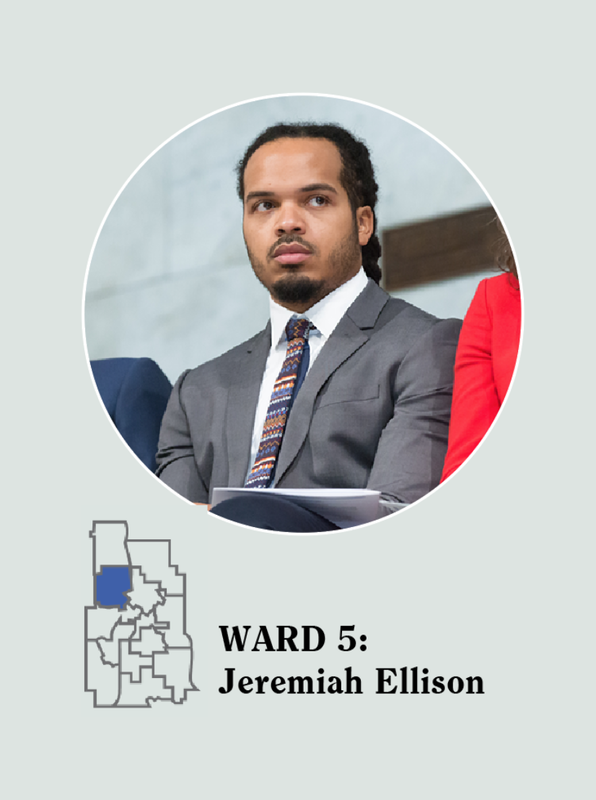 And while North Minneapolis is not only a black neighborhood, its history as a place that black people in Minneapolis have repeatedly called home is undeniable. North Minneapolis has long been a place where the city has parked its “undesirable” populations. At the height of American anti-Semitism, Jewish people called North Minneapolis home. Today, along with black people, immigrant groups, including Hmong, Somalis, and Latinos, are referring to the Northside as home. But now, “the market”—the nickname that refers to the ways in which rich people spend their money—also wants to call the Northside home. And that wouldn’t really be a problem, but, as I’ve come to learn, once the market sets its sights on your space, it doesn’t really like to share. The future for many black communities has taken the form of gentrification—a term that describes the literal and cultural displacement of the people and character of a neighborhood. The market has certainly picked the Northside as its new frontier, but we have not yet seen the type of displacement that has taken place in Seattle, Portland, Oakland, Brooklyn, Austin, and the list could go on. What I’m saying is, we’re still in a position to “solve” gentrification. The thinking goes: if you want to be able to afford your neighborhood, it has to be rundown or lack amenities. Or, you can have the amenities, but then you’ll be priced out of your neighborhood and new, wealthier people will come to replace you. But what kind of choice is that? Not one I’ll accept. The new year has brought some challenges to the Northside—gentrification is just one. Bullets hit the exterior of North High—thank God no one was hurt. Wirth Co-op struggled to succeed and ultimately closed its doors. Thor has fallen on hardship. The remedies to our challenges are not obvious, but I’ve always been a big believer that more heads are better than one—it is not and never will be my intention to govern without your help. I will continue to have open office hours every Saturday at Sammy’s from 10 a.m.-noon. I will continue to put out regular newsletters. But I want to double down on my collaboration with you. If you, your group, mosque or church, your organization or business want me to attend your gathering or meeting, please reach out—I assure you, no group is too small for me to come spend time with. I won’t always have the perfect remedy, but I also know that God is not going to put it in our lap either. In the meantime, I hope to see everyone at our next Peoples’ Assembly on Tuesday, February 5th, at UROC from 5-7:45 p.m.